Thinking about the future has become essential. States, corporations, universities, cities, NGOs and individuals believe they cannot miss the future. But what exactly is the future? It remains a mystery – perhaps the greatest mystery of all – since futures are unpredictable, uncertain and often unknowable, the outcome of many known and unknown unknowns. The future can rarely be simply extrapolated from the present. 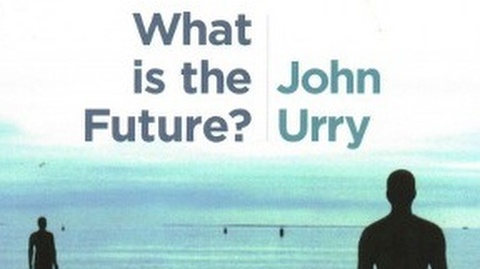 In this important new book, John Urry seeks to capture many efforts that have been made to anticipate, visualise, elaborate and perform the future. This includesexamining methods that have been used to model the future, from those of the RANDcorporation to imagined future worlds within philosophy, literature, film, TV, andcomputer games. He shows that futures are often contested and saturated withdifferent interests, especially in relation to future unborn generations. He shows howanalyses of social institutions, practices and lives should be central to examiningpotential futures and issues as to who owns the future. The future seems to be characterised by ‘wicked problems’. There are multiple ‘causes’and ‘solutions’, long-term lock-ins and complex interdependencies, and social groupshaving radically different frames for understanding what is at stake. Urry exploresthese issues through case-studies of 3D printing and the future of manufacturing,contested mobilities in the city, and the futures of energy and climate change.